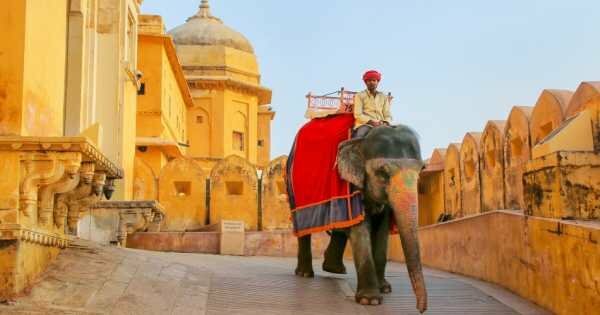 In this amazing golden desert city have a taste of Arabian nights with a private tour to Bikaner. 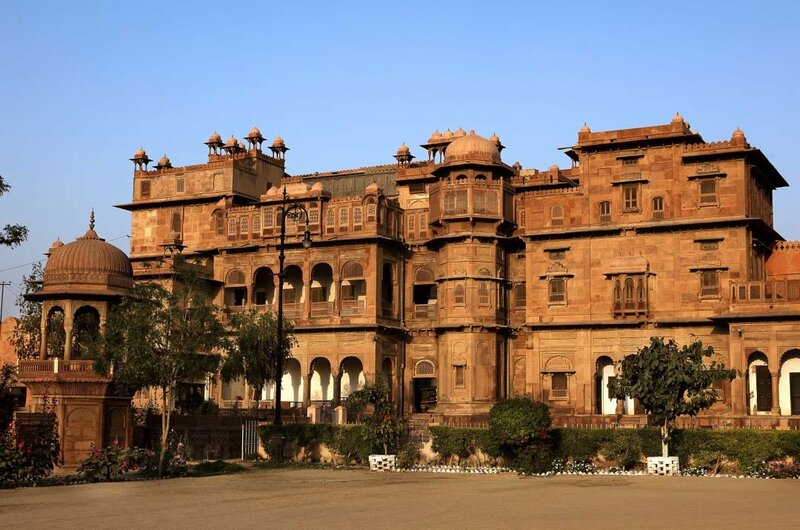 This town is full of cultural heritage, and the Junagarh Fort is the most famous landmark within it. 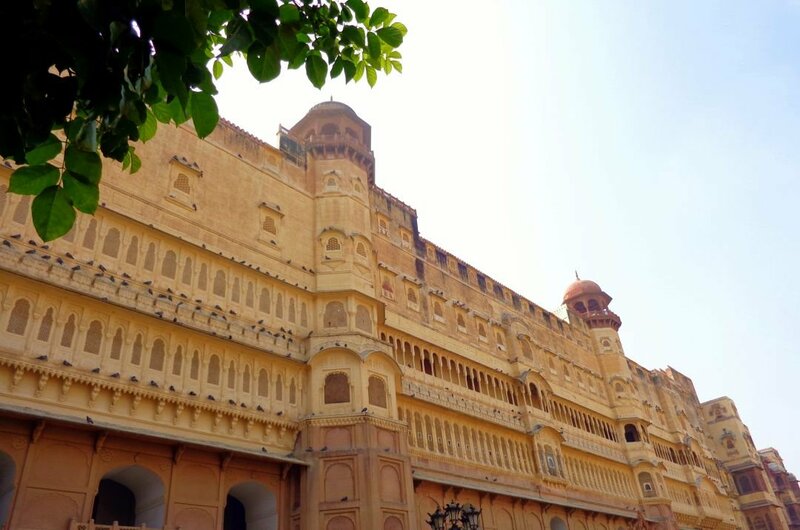 Bikaner is not as well known for being a popular tourist destination, but that is a good thing as it is not as commercialised as other destinations. As a tourist, you are a bit of a novelty to the locals, and they are very welcoming and open to newcomers. There is a good number of activities to do here and fascinating places to visit. 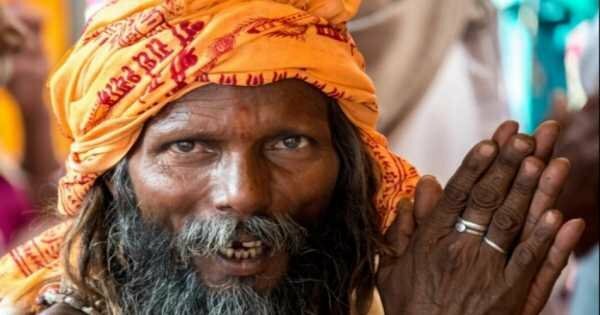 The excavations that have taken place in the city has unearthed history that goes back centuries to imply it is one of the oldest cities established in India. A really great thing to do in Bikaner is to take a Camel Safari tour. This is definitely not something that you get to do on every holiday you go on. It is where you get to transcend into a different world and imagine you are about to see ‘Laurance of Arabia’ any minute on a camel coming over a dune. To see a sunset in a desert is a magical experience and no matter where you are in Bikaner, it is a beautiful sight. 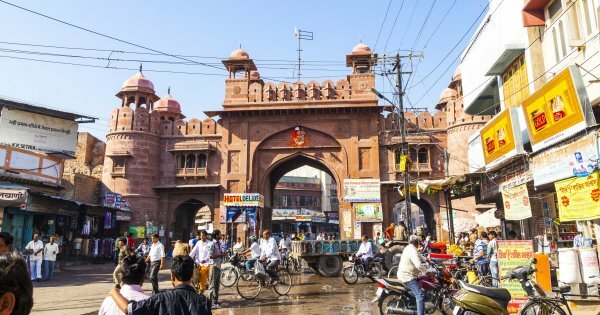 The traditional cuisine is also something to try while in Bikaner and like everywhere else you go in the world; all locals love the fact that you will try their special food. While taking a stroll in the old city, you will find little shops full of traditional craftwork on the winding narrow streets that are so very charming and inviting. It really is a little treasure of a city. 1 Built back in 1593 it is believed that there were once crocodiles in the moat surrounding the fort. A guided tour of this fort is fascinating as you get to see stunning architecture, flamboyant decoration and interesting history on all that has happened here. Lots of different rooms with individual decoration such as Badal Mahal (cloud palace) that has beautifully painted blue cloud motifs on the wall. A beautiful place! 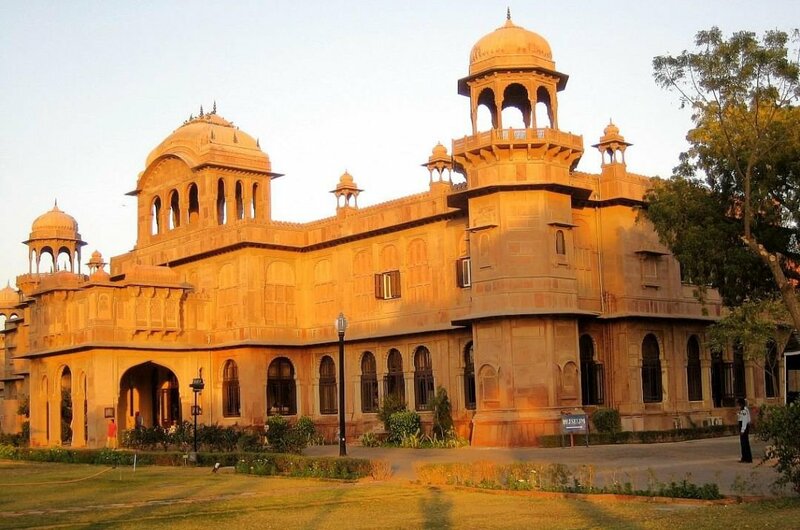 2 Located in the main courtyard of the Junagarh Fort, is the Prachina Cultural Centre & Museum. It mainly shows the influence of westerners, well the English and French really, on the Royals in India at the turn of the century. It is fascinating to see the changes in dress wear, the jewellery, crockery and they also have menu cards going back to 1936. This is an excellent guided tour to take. 3 A guided tour of Gajner Wildlife Sanctuary is a must when on holiday in Bikaner. On the Jeep Safaris, you get to see Blue Bulls, deer, wild boars, antelopes, Indian hares and much much more. For the Bird Watcher enthusiast, there are plenty of different species to spy on. After all the excitement of the safari, there are unique plants and flowers to take a stroll among in the sanctuary landscaped gardens. 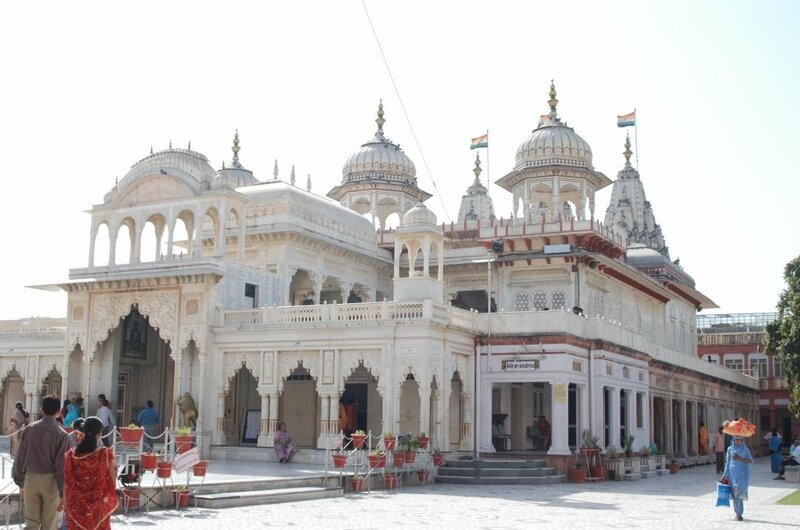 4 Jain Temple was started in 1468 and only finished in 1514, but it is architecture at its very best. The design of the temple is quoted as being unique and intricate. It has three storey’s filled with stunning sculpted pillars that are decorated with gold leaf designs and has the most amazing mirror work. The outside of the temple is an unusual red and white colour from the red sandstone and white marble use to build it. 5 A private tour of this magnificent Palace is a pure treat. Erected using red sandstone it stands out on the banks of the lake with the green of the forest as its backdrop. The palace was the place of retreat for the royal family after hunting. The architecture is amazing like all of the other palaces in India with thought put into every little detail of the palace. Relax at this beautiful place and watch the night sky. 6 An absolute must! You have to go on the guided tour of all tours which is the Camel Safari. You ride a camel through the desert and the landscape is superb as you travel along, there is nothing to see but golden sand dunes but sometimes that is more impressive than a landscape of mountains and water. You stop at tents for lunch break and the whole thing is a terrific, unique experience. Sunset is an extra bonus! 7 Devi Kund is a collection of Cenotaphs that are found outside of Bikaner city. A sightseeing tour to see these is extremely interesting. The architecture is stunning with the most intricate sculptures carved into the stone. They were built as crematoriums for the Royal family and now stand as memorials to them. 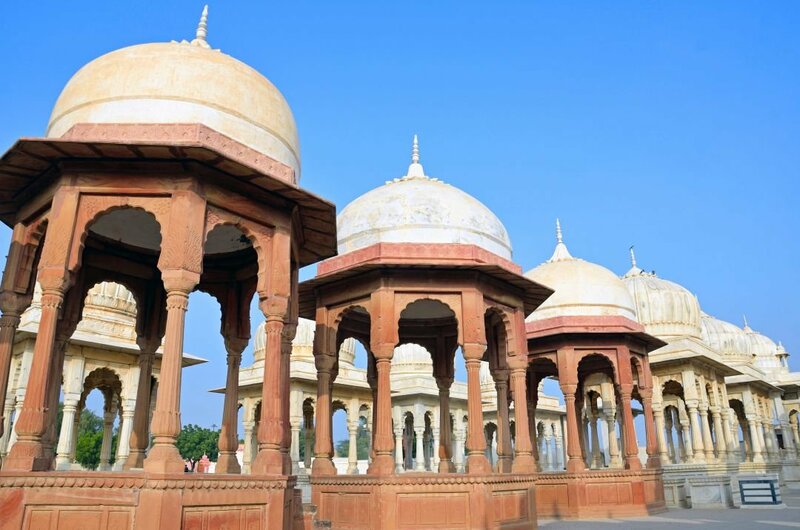 The tales of the bravery of the rulers of Bikaner are told through these Cenotaphs. 8 A guided tour of this well-organized museum is educational and very enjoyable, especially for the secret history buff. 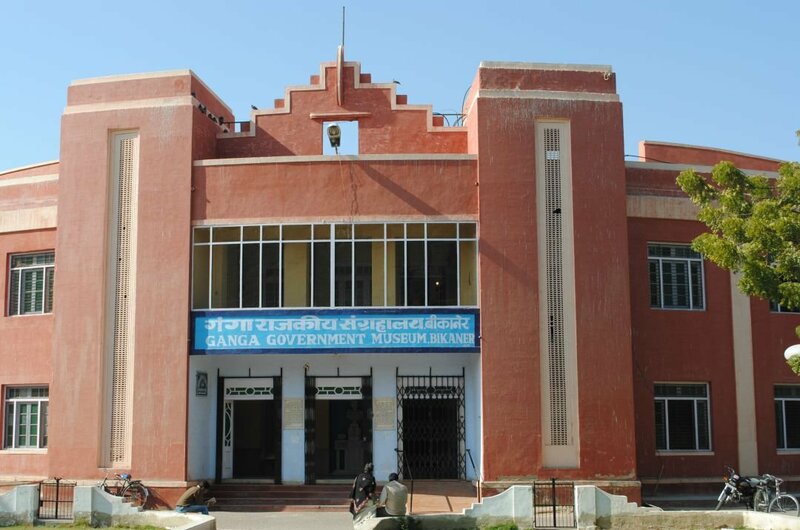 There are exhibits on traditional musical instruments from the bygone era, miniature models of Palaces and the Royal Bikaner train and gold paintings from local artists. The history is well laid out in the displays and there are decrees on show from the Mughals to the Maharajas of Bikaner. 9 A city tour will bring you to the fascinating Old Town which has a medieval feel about it. There are narrow streets that are like labyrinths so be sure to stick with your tour guide as you could get lost very easily. 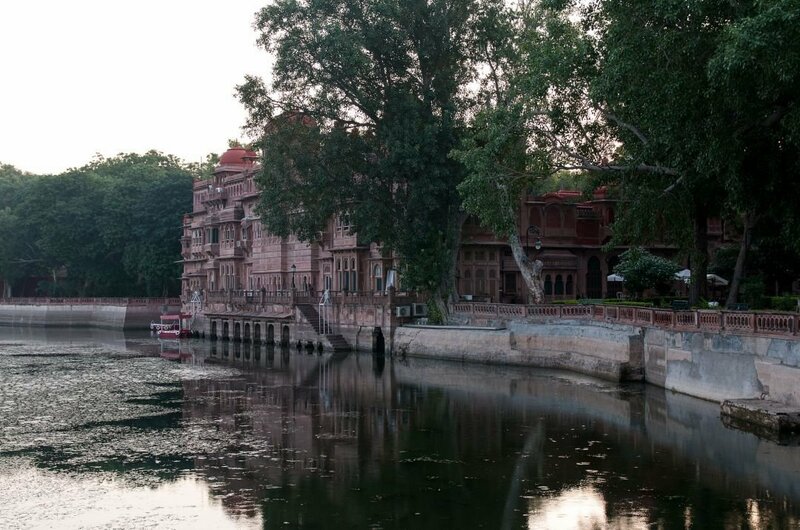 Hidden in these winding streets are grand Havelis, Jain Temples and even a train station. There are bazaars to venture through and buy your souvenirs and look upon the local craftwork. 10 Another example of fine architecture is Lalgarh Palace. This Palace was built in 1902 as a memorial to its creator, Maharaja Ganga Singh’s father. The lawns surrounding the Palace are home to peacocks that are beautiful to look at when they spread their tails. With plenty to see inside the palace such as the wonderful library with first editions, cards room and a billiards room, a guided tour here is not boring. 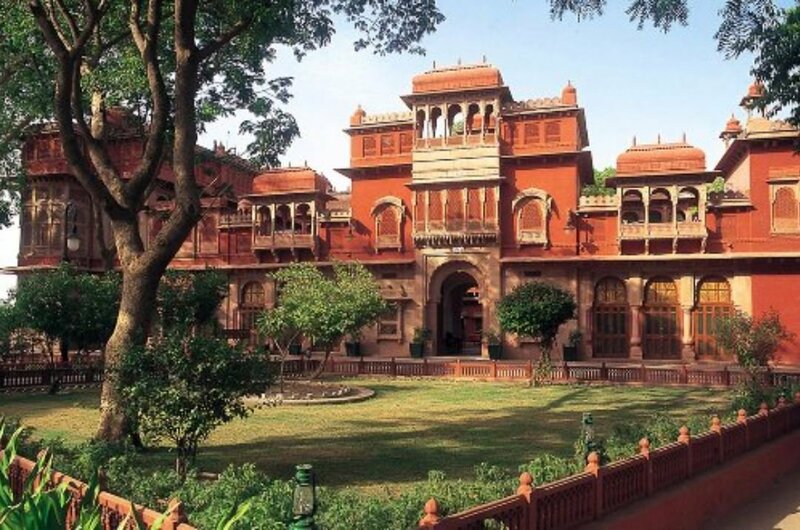 The weather in Bikaner is pleasant all year round so anytime is a good time to go. The months October through to February are the most popular months to visit as it is warm but not uncomfortable during the day and cool at night. 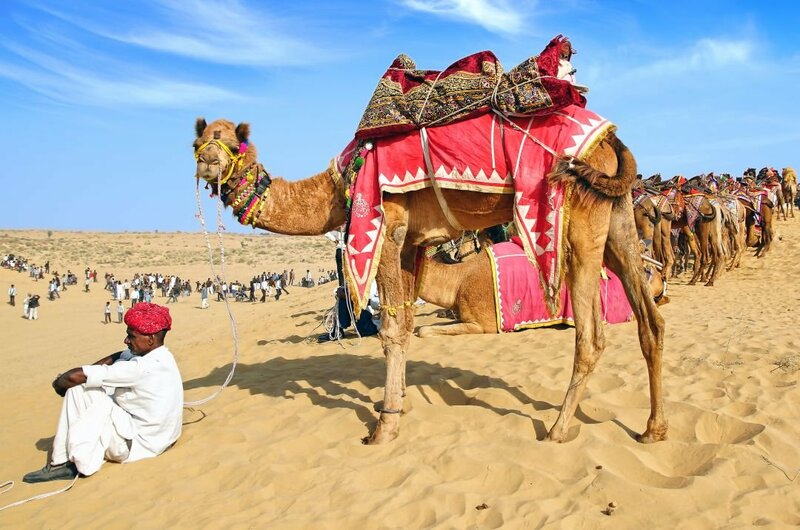 An extra special time to go to Bikaner is in January when they have a Camel Festival that celebrates Camels and there are lots of celebrations and parties to entertain you. 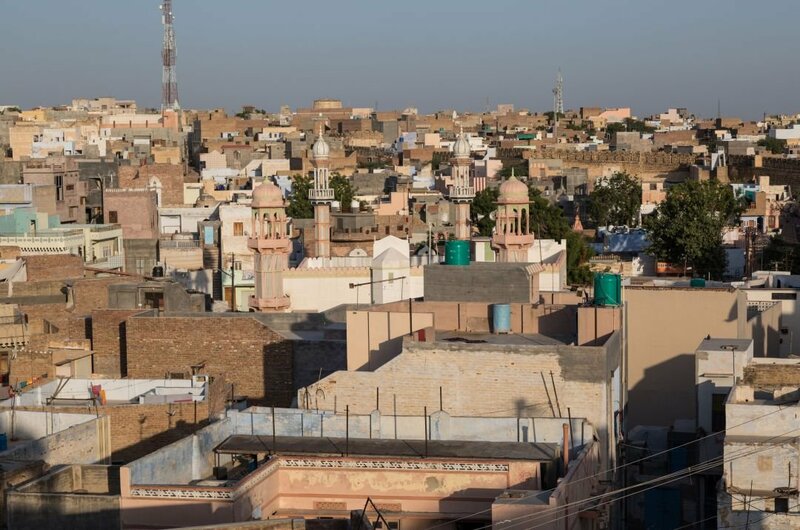 As a safe city, Bikaner is one of the best to travel to however that does not mean you are careless when you are there. It is not recommended to go for a walk at nighttime alone if you are new to the area and in any way unsure of your bearings and that is standard wherever you go. When travelling around the city on Auto Rickshaws, make sure the driver puts on the meter, the majority of drivers are known for trying to overcharge tourists. The cold season is from January to February and the temperatures do not ‘usually’ go below 16 degrees Celsius during the day. The Hot season is March through to May and the temperatures can vary from 19-35 degrees during the day. The 2 monsoon seasons are Southwest (June-September) which brings heavy rainfalls for long periods and Northwest (October - December) which has less rainfall and shorter showers.